WCVM student and Vets Without Borders intern Jamie Neufeld. A U of S veterinary student is making a difference on the other side of the world. Jamie Neufeld, also an Arts and Science alumna (BSc’13), is currently working with Vets Without Borders (VWB) in Uganda. 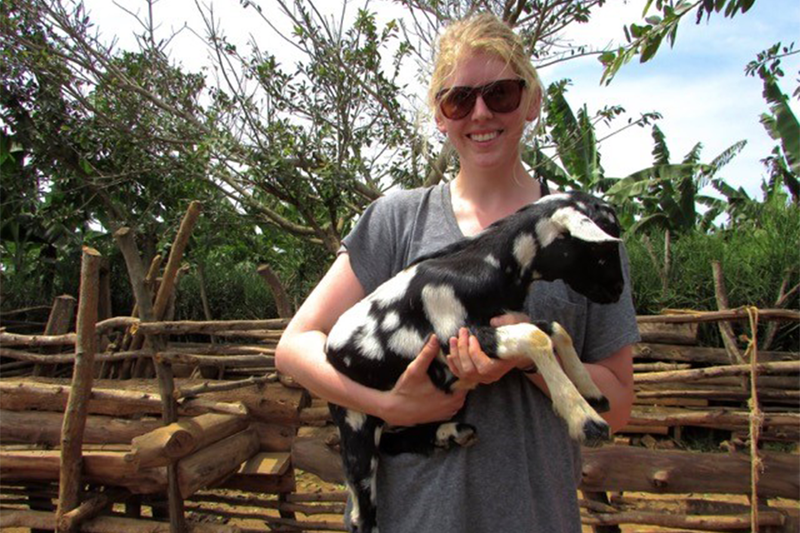 Through the VWB goat pass-on project, Neufeld and other volunteers help impoverished women in Uganda provide for their families by distributing loaned goats, teaching livestock husbandry and training locals in veterinary care. See more at the VWB blog.